Candies: Candies are a special food type which are dropped by certain mobs. You can always eat these, even if your food bar is full. When eaten, you will get a small sugar rush. They can also be found in all forms of dungeon chests. Batty Bar: Has a 5% chance to drop from bats. Restores 4 hunger points. Bubblegum Witch: Has a 5% chance to drop from witches. Restores 4 hunger points. Chocolate Spider Eye: Has a 5% chance to drop from spiders. Restores 4 hunger points. Enderpop: Has a 5% chance to drop from Endermen. Restores 4 Hunger points. Gummy Skull: Has a 5% chance to drop from Skeletons. Restores 4 hunger points, and can be used to breed wolfs. Candy Corn: Has a 100% chance to drop from Villagers. Restores 4 hunger points. Midnight Candy: Has a 5% chance to drop from any mob. Restores 2 hunger points. 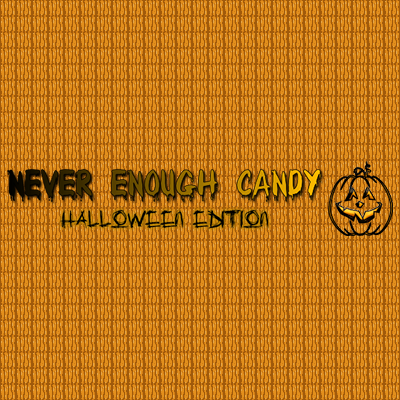 Halloween Candy: Has a 5% chance to drop from any mob. Restores 2 hunger points. Witchy Candy: Has a 5% chance to drop from any mob. Restores 2 hunger points. Cookies: Cookies are a special treat which are made specifically for certain players. You can get these cookies by killing a person who has a special cookie item made for them, or by finding them in dungeon chests. The current list of players with special cookies includes Darkhax, lclc98, subaraki, stacyplays, graser10, stampylonghead, Aaron, and Kiera. When eaten, the player will get a sugar rush, and some health regeneration. Darky Park's Every Flavor Bean: These beans are unique treats which come in over 281 trillion color combinations. Each bean contains a unique flavor, which will give the player a random buff. These beans have a 1% chance to drop when you kill any mob. Which flavor will you get? Q: Will this mod work on a server? A: Absolutely. This mod will work in single player, multiplayer and LAN. All players connecting to the server will need to have the mod installed, and the server will also need to have the mod installed. Q: How do the drop rates work? Is Looting factored? A: Each level of looting will add 5% to the drop rate of the candies. Looting will not effect the beans. Each drop rate is triggered in a specific order, which limits the player to one cookie/candy drop per kill. The only exception to this is the bean drop. You can get a bean and a candy or cookie, although you need to be very lucky for that to happen. Q: Can I use this mod in my modpack? A: Yes, you can use this mod in your modpack, provided that you give credit and link back to this page. Q: Can you add a special cookie for me? A: I am not taking special cookie requests at this time. Think you may add more cookies/candy for Halloween this year? Hey there, I am planning to do another update this year, not sure what to do yet though. Have any suggestions? Welp, missed the deadline ! But if I had to suggest anything, I'd recommend looking into local (by country) Halloween treats. Or any "Day of the dead" treat (such as sugar skulls in Mexico). Hey, in the 1.12.2 version, the beans don't seem to drop from mobs. Would it be possible to fix this in another update? 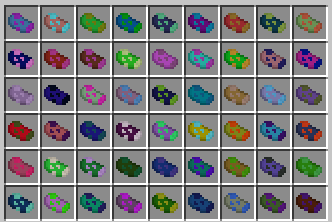 Also it'd be nice if the other mobs (Creepers, Zombies, Blazes, etc...) had candies for them. are the jelly beans on 1.7.10? Can you add a way to create jelly beans other than killing mobs? Maybe like, the bean bag, crafted with large amounts of sugar, that gives X number of random jelly bean flavors.